Perfect U.S.P.H scores for Carnival Liberty & Carnival Paradise! 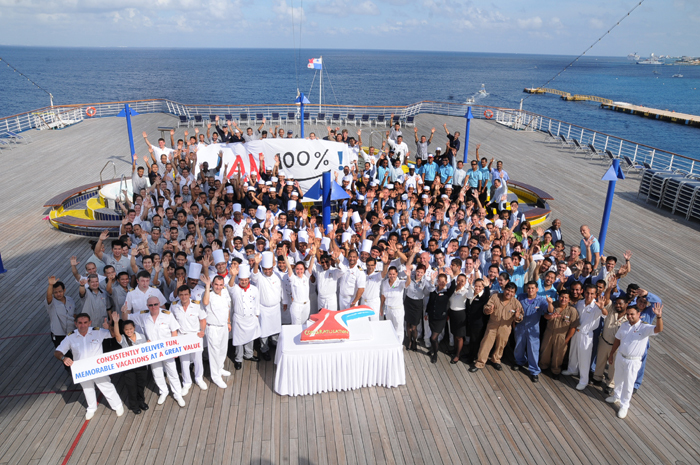 Carnival have announced that the Carnival Liberty and Carnival Paradise have both received a perfect score in their United States Public Health (U.S.P.H) inspections. Carnival Liberty and Carnival Paradise both sail out of Florida and have continued the great run of succesfull U.S.P.H inspections for 2013. The inspections are done onboard and all areas of the ship are checked for any public health issues. It’s a very important task as cruise ships can be held in port until they pass the inspection. Many cruise lines spend weeks preparing for the inspection which is usually done in the ships home-port which in this case was Miami for Carnival Liberty and Tampa for Carnival Paradise. An important part of the inspection is the food prep areas which are usually in the crew areas and the galley. Inspectors look for cleanliness and any other health related aspects. The inspection is done twice a year for each ship.